Democratic Senator Bill Nelson (left) and Republican Florida Governor Rick Scott (right). A poll released by Quinnipiac University on Monday, October 22, shows that Nelson leads Scott 52 percent to 46 percent among likely voters. 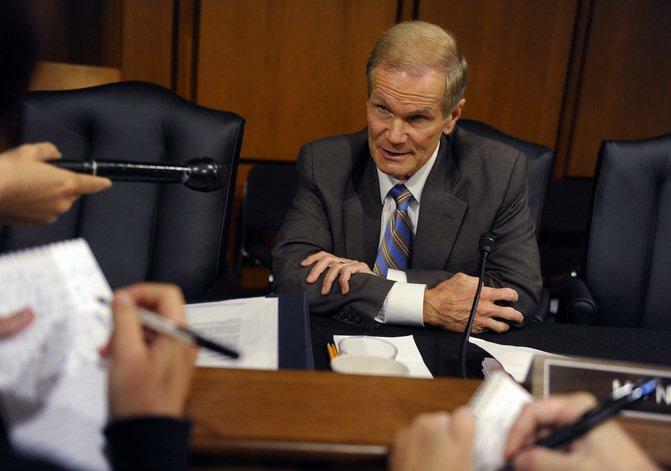 In a September 25 survey released by the university, Sen. Nelson led 53 to 46 percent. According to Quinnipiac, women, black, Hispanic and independent voters are the main factors driving Nelson’s lead. "At this point, Sen. Nelson's six-point overall lead is built on his large margin among independent voters, 60 - 38 percent,” said Peter A. Brown, assistant director of the Quinnipiac University Poll. “If that margin holds up, the senator will be difficult to beat. Moreover, Sen. Nelson's 20-point advantage among women is twice Gov. Scott's 10-point edge among men." Results from Quinnipiac's most recent poll on Florida's U.S. Senate race. Mike Binder, the head of the University of North Florida’s Public Opinion Research Lab, has been critical of Quinnipiac’s polling methods. Comparison of Quinnipiac's pool of likely voters in September poll vs. October poll. According to Quinnipiac, 1,161 Florida likely voters were surveyed from October 17 - 21 for this poll and Nelson’s lead falls outside of the poll’s stated 3.5 percent margin of error. An average of public polls from Real Clear Politics has Nelson leading Scott by 2.4 percent. More than 930,000 Floridians had already cast their ballot by either mail or at early voting locations as of 10:00 a.m. Monday. Republican Governor Rick Scott lags six points behind Democratic incumbent Bill Nelson in Florida’s Senate race despite pouring millions of dollars into campaign advertising, according to the latest Quinnipiac Poll. Democrat Nikki Fried, a medical-marijuana lobbyist, had to defend her desire to move the state’s oversight of medical marijuana into the agency she wants to run.